The Study is suitable for smaller meetings and seminars and can be hired in conjunction with the Boardroom. The Study is situated on the 3rd floor in the period part of the hotel. 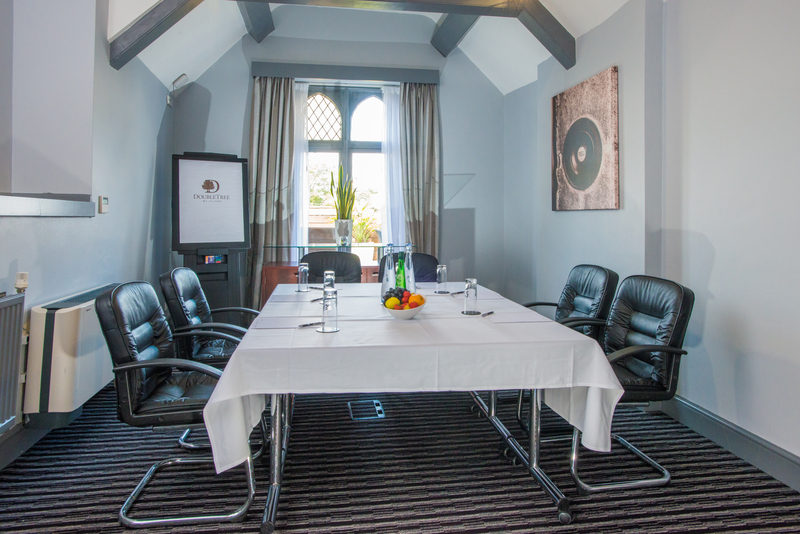 With exposed beams and lots of natural light this is a great room for small meetings or as a breakout room seating up to 10 guests in a boardroom style set up. The Study is fully air-conditioned and comes fitted with a Flat screen, wall mounted plasma screen which connects directly to laptops. Breaks for The Study are served in the nearby newly refurbished Conference Café. The Study includes access to a balcony overlooking North Somerset when hired in conjunction with The Boardroom.